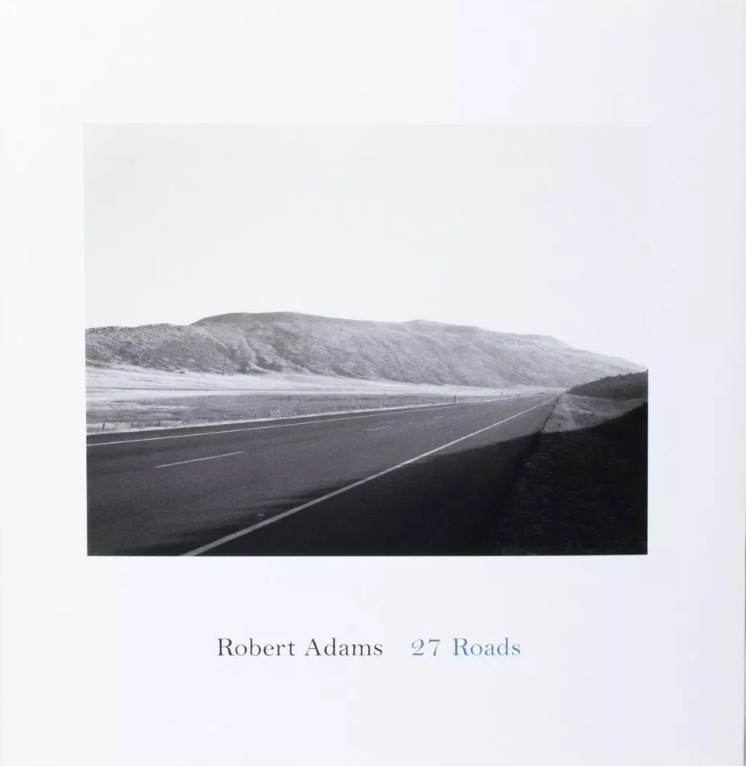 Book Of The Week 27 Roads Photographs by Robert Adams Reviewed by Carlo M. Brady The road has been a central motif in the work of Robert Adams (born 1937) since the beginnings of his life as a photographer in the late 1960s. 27 Roads is the first publication to focus on this important aspect of his work, and is comprised of the artist's concise, poetic selection of images spanning almost five decades. 27 Roads. 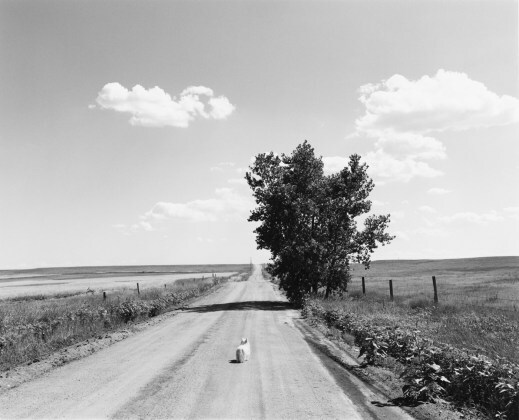 By Robert Adams. Fraenkel Gallery, San Francisco, California, 2018. 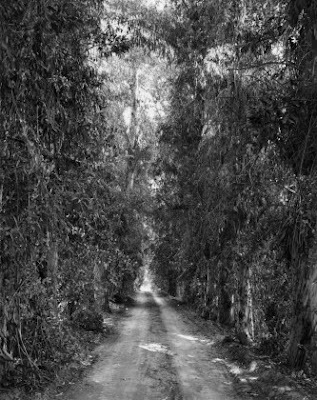 64 pp., 36 illustrations, 13x13"
27 Roads by Robert Adams accompanies an exhibition of the same name on view at the Fraenkel Gallery in San Francisco. The book features beautifully sequenced and meticulously reproduced images from nearly, if not all, decades of Adam’s career. From the outset, the road has been a central theme in Adams' work. 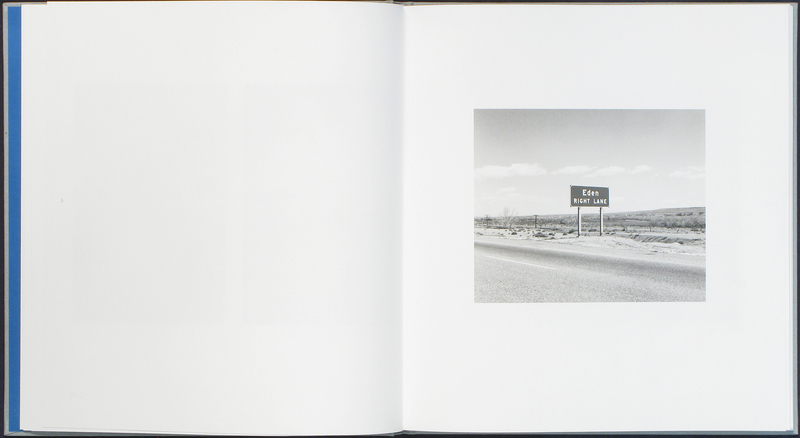 In a more broad sense, contemporary American photography was founded on road photography. From Amsel Adams’ Datsuns to Robert Frank's best known work, The Americans— the road is a mechanism through which we have been offered a picture of America. In addition to connecting the country, the American highway system provides a visual experience of the mythos. Crossing vast open plains and snaking through foggy mountains, our roads open windows to the natural beauty of the countryside while obscuring deforestation and mining activities. They guide us to see and ignore in turn. Adams' photographs are exceptionally lucid. His images are intimate in their ability to facilitate an act of near, yet caring, introspection. To quote Wim Wenders, "Taking pictures is an act in two directions: forwards and backwards." The photographs vary in tenor throughout the book. The roads move between roles— in one frame they are subject, the next just a feature. They vary in weight and meaning. Adams prioritizes the quiet. He aims to capture a depth of feeling rather than memorization. As a reader, I am encouraged by Adams’ offer to picture that which lies before us. 27 Roads is a heartening collection of photographs. They track and revel Robert Adams' artistic metabolism and a sense of self. Through his images we are also given a symbol of America. The initial offerings of freedom and mobility turn into the vast network of increasingly unmanageable, under-maintained asphalt that has come to define the contemporary American motorway. Any idea or picture of the American landscape is fundamentally connected the image of its roads. Adams’ photographs show how they have transcended their role of facilitation to become complexly tied to the description, economy, and velocity of the landscape. Carlo Brady works as a photobook specialist at photo-eye Bookstore in Santa Fe, New Mexico. You can contact him at carlo.m.brady@gmail.com.